Features information on 88 sites and wildlife areas. 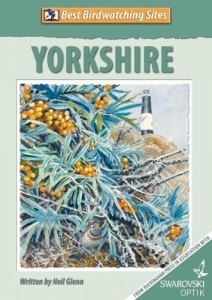 It's been a long time coming, but at last, Best Birdwatching Sites: Yorkshire is now available. At 340 pages, it is the biggest volume in our series of acclaimed site guides and covers no fewer than 88 reserves and wildlife areas right across England’s largest county, which boasts a bird list in excess of 470 species. In keeping with the rest of the Best Birdwatching Sites series, lead author Neil Glenn, with support from John Miles, has investigated a variety of inland and coastal sites to ensure readers have the widest possible choice of destinations and habitats to explore. So, in addition to ‘hidden gems’ such as North Cave Wetlands near Beverley and Carlton Marsh on the outskirts of Barnsley, he provides in-depth coverage of long-established hotspots such as Filey Brigg, Tophill Low and Potteric Carr. Up-to-date information on 88 locations, from Ingleton Falls in the west, Scaling Dam in the north, Welwick Saltmarsh in the east and Blacka Moor in the south. Practical birding tips for each site. Detailed maps (more than 120 in total) and clear instructions on locating all named sites. The latest bird information for each site, plus the current Yorkshire Bird List. All sites evaluated for wheelchair access. 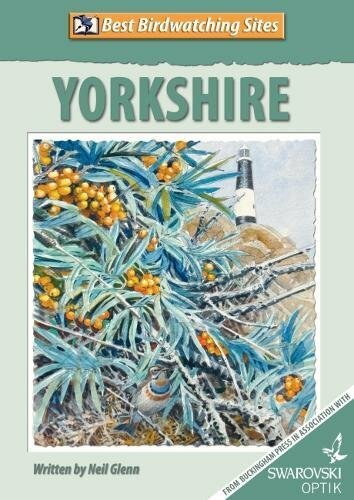 Valuable background information for newcomers to the Yorkshire birding scene. Target birds for each site – and how likely you are to see them. A month-by-month guide of what birds to expect. Advice on reaching sites by public transport.